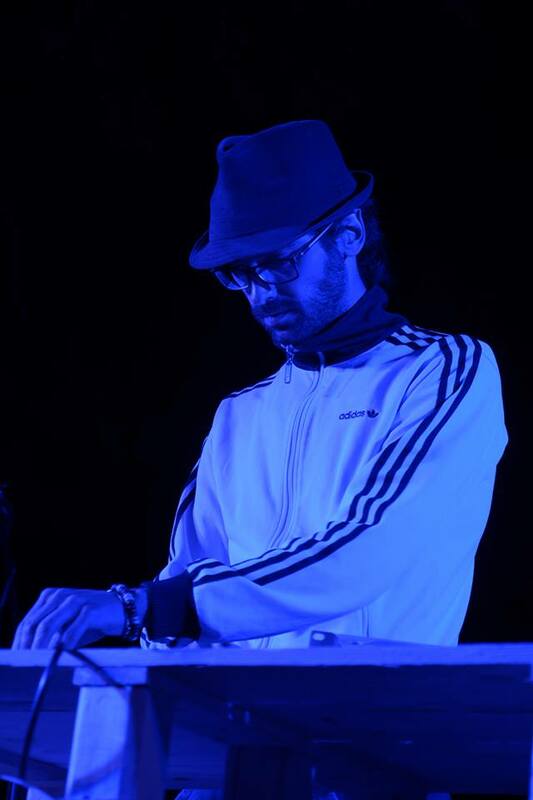 Giacomo Cioni, born in 1982, is active in the late ‘90s Italian hip hop scene. He starts to perform rap, write lyrics and produce beats with his crew “Dugentodumila” (together with Stefano Babbini, Gabriele Bianchini, Lapo Magi and Valerio Romanelli) from the Upper Tiber Valley. He is lucky to have free access to the large collection of vinyl records of his father (who plays harmonica in a blues band) to search for samples to use in the music production. This experience brings some years after to the alternative hip hop band “Woodflower”, where the division of roles typical of the genre (producer and rapper) is avoided in favor of a more communal approach to the composition. In the early ’00 he participates in several projects in other music fields. He performs rap in the crossover band “POUM”, plays the MPC in the post-rock band “One More Sigarette” and approaches a different way to play samples with the improvisation experiment “Presupposti per una vita sedentaria” with Nicola Dini and Lorenzo Vecchi. He also participates to the theatre show “Clash To Me”, written by Andrea Merendelli, playing samples live on stage. From 2011 he takes part to the open collective “Presupposti”, founded with Michele Corgnoli and Nicola Mancini. “12+” is his solo project on the MPC.